← Wozu führt Putin einen Krieg in der Ukraine? Despite the declared ceasefire, Russian troops and terrorists continue to shell the positions of Ukrainian troops and civilian targets, including with the use of heavy weapons. Throughout the day, on September 7th, about 10 attacks were recorded. Since yesterday (09.07.2014): the enemy has been active in the area of Mariupol, Donetsk, Debaltseve. The Russian army and military units with small arms, mortar and rocket-propelled grenades carried out the shelling of positions and outposts of Ukrainian law-enforcers in the settlements of Zhdanovka, Zolote, Nizhnyaya Krynka, Fashchivka. 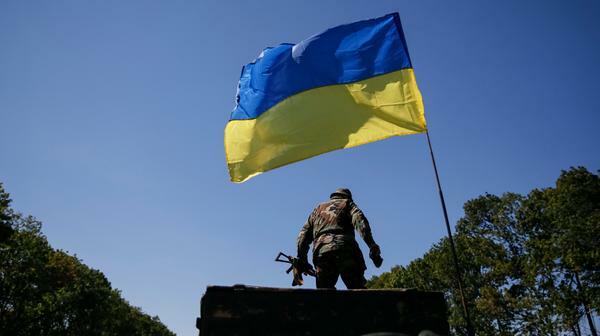 Ukrainian troops have returned fire only exclusively in response to [Russian] small arms fire. Ukrainian aviation and artillery troops did not respond. This entry was posted in Dmitry Tymchuk, English, English News, Pictures, South&Eastern Ukraine, War in Donbas and tagged #RussiaInvadedUkraine, #SaveUkraine, #UkrianeUnderAttack, Dmitry Tymchuk, Information Resistance, Ukraine. Bookmark the permalink.